I’m always slightly unsure about cupcakes. I find them a little bit style-over-substance in the baking stakes, and, if offered the choice, would generally opt for a big gooey brownie, slab of cake or chewy cookie over the frothier children’s party classic. But cupcakes do look so pretty all lined up in a box, and it’s not really a proper birthday unless you have cake, so I decided to find a recipe to confound my expectations. My friend is a huge Nutella fan so this seemed like a good place to start. When doing some research into macarons a couple of weeks back (delicious salty snickers macarons recipe here), I’d bookmarked a recipe on Tartelette’s website for Nutella cupcakes with Nutella cream cheese frosting. So far, so good. On reading for a second time however, I discovered that this recipe was actually a tweaked version of her Tamarind Coffee cupcakes, which in turn were an adaptation of a Dan Lepard recipe (here). Dan Lepard is one of my all-time favourite bakers and I’ve not yet made a recipe of his which hasn’t turned out perfect. As Jay Rayner says, ‘Dan Lepard is to baking what Lewis Hamilton is to Formula One’. I’m sometimes a little nervous about trying recipes from blogs I’ve not used before, but with the tried and tested assurance of one of my baking gurus behind these cupcakes, I decided to get cracking. 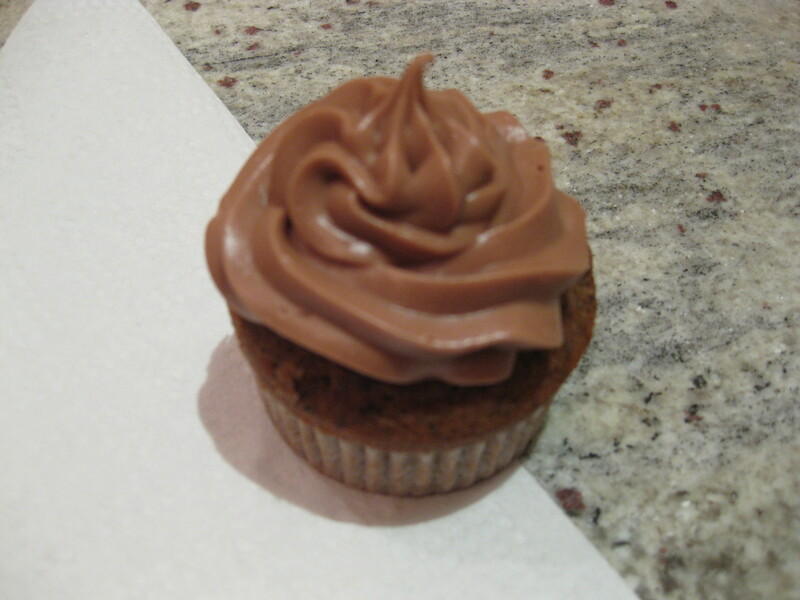 The result is a beautifully light, crumbly cupcake with strong coffee notes. I’m not sure Dan would approve of the Nutella frosting – it’s sickly sweet in the way only Nutella combined with copious amounts of butter and sugar could be – but it’s totally delicious and an absolute must-try for any Nutella fan. It also contrasts nicely with the strong, almost bitter, coffee taste of the cupcakes, meaning that icing and cake work beautifully together for an all round tastebud hit. 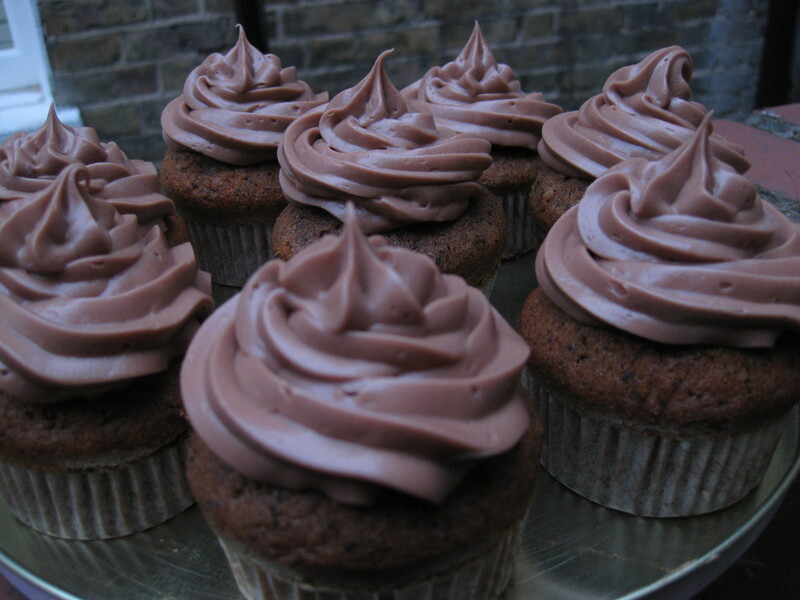 The recipe below makes around twelve medium sized cupcakes. Leave to cool completely before frosting, or eat them warm out the oven for a lighter breakfast or afternoon snack. Preheat the oven to 350F/175 C. Place 12 muffin liners inside a muffin pan and lightly brush with melted butter. Using an electric mixer or hand held whisk, whip the butter, sugar and honey until fluffy at medium speed, 2-3 minutes. Reduce the speed to low and add the coffee, milk and Nutella. Still on low, add the eggs, one at time. In a separate bowl, sift together the flour, cornstarch, baking powder and salt then fold this in with the chocolate mixture until smooth. 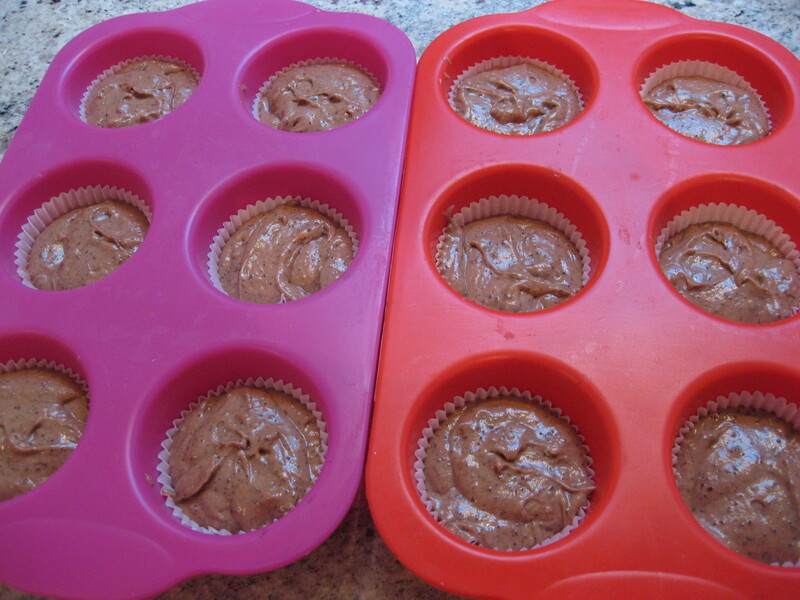 Divide evenly among the muffin liners and bake 20-25 minutes. Leave to cool completely. Whizz all the ingredients in a Magimix or blender until smooth, adding a little milk to loosen if necessary. 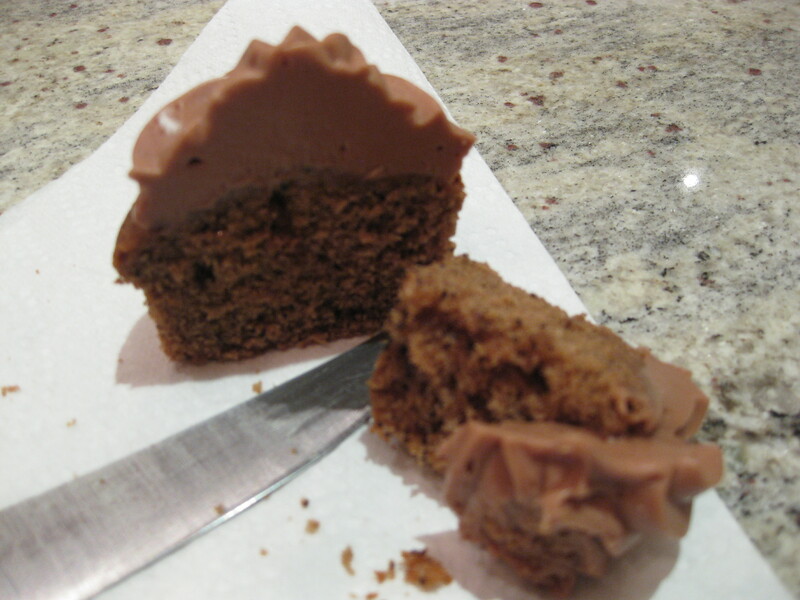 Fill a piping bag with the mixture and pipe over the cupcakes using medium nozzle. Pop in the fridge to firm up, but remove at least 15 mins before serving to allow the flavours to develop again. 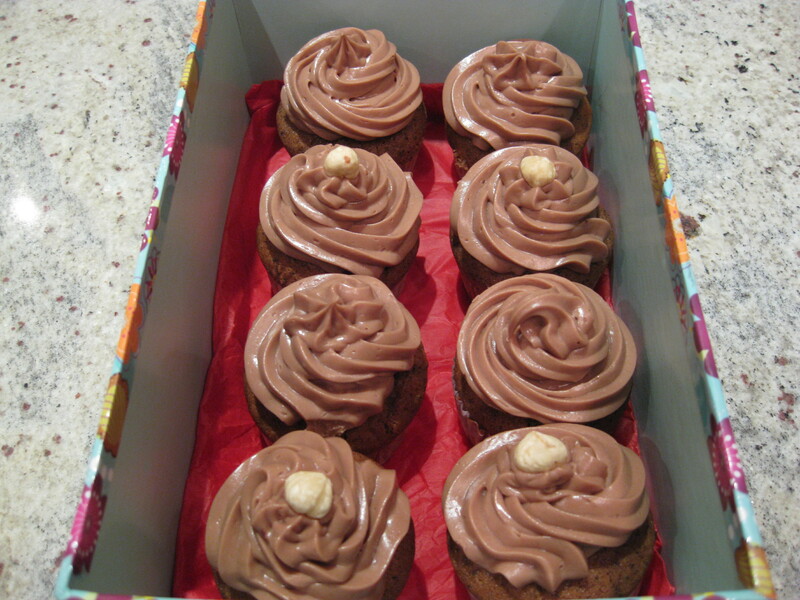 How lucky is your friend that you baked these cupcakes for her, they look awesome! 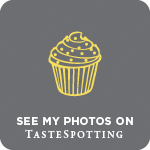 I love it – wish I had birthdays to bake for every day! wow. Love nutella so will have to think about this but my husband is very protective of his nutella stash…!